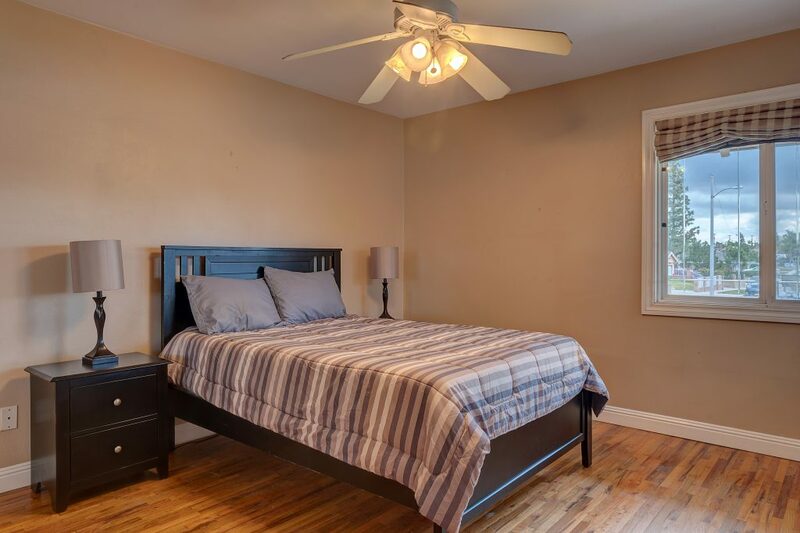 No need to look any further this is the home you have been looking for, 3 bedrooms / 2 bathrooms with 1900 sq ft. of living space located on quiet cul-de-sac. 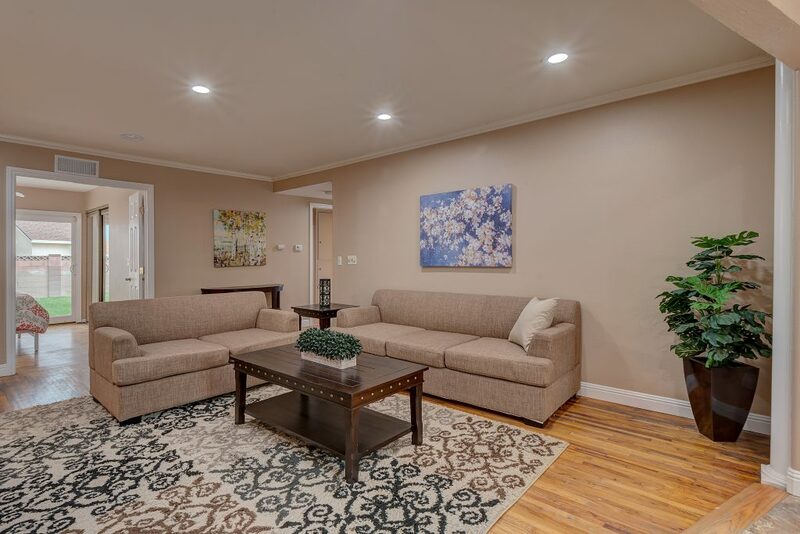 This home is move in ready, you don’t have to lift a finger. 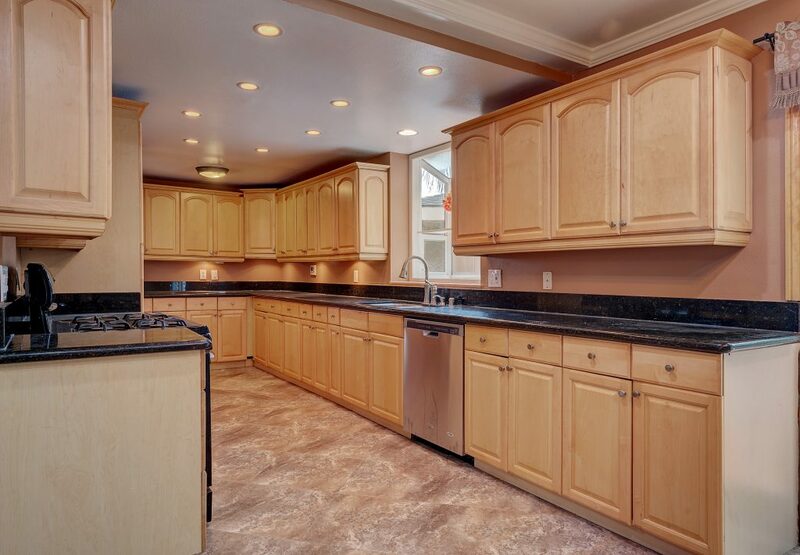 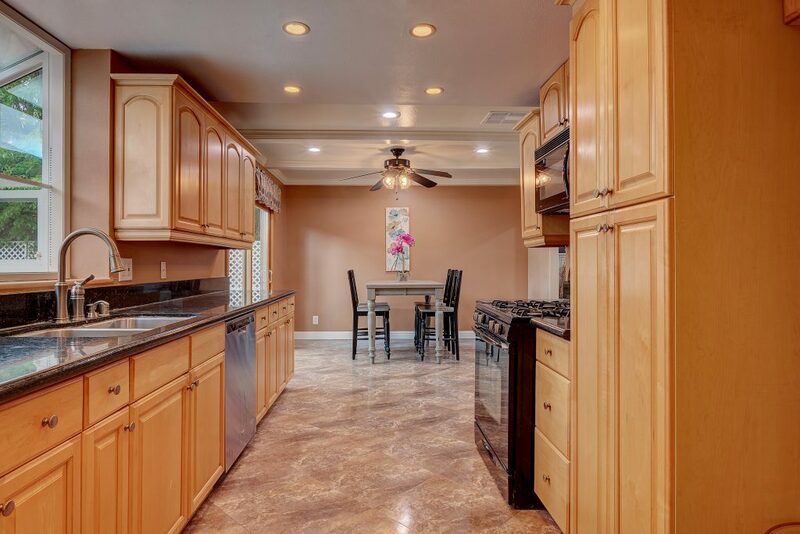 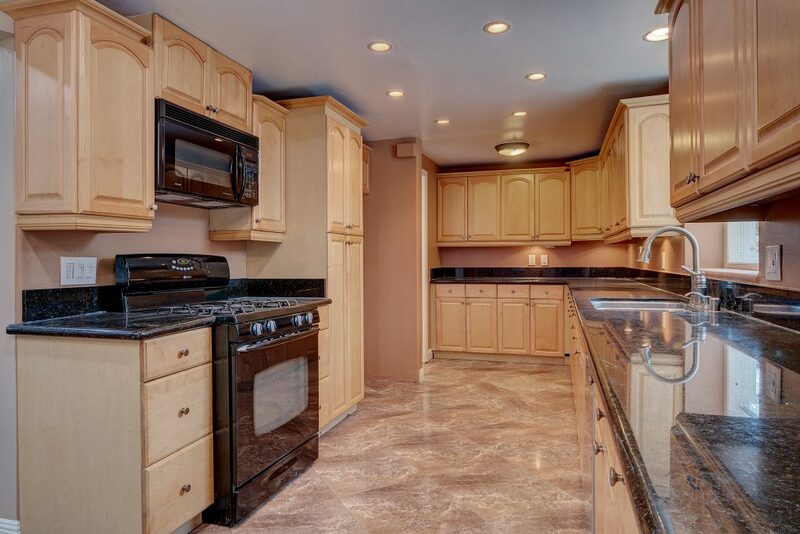 The galley kitchen has been remodeled with oak cabinets with plenty of storage and granite counter tops. 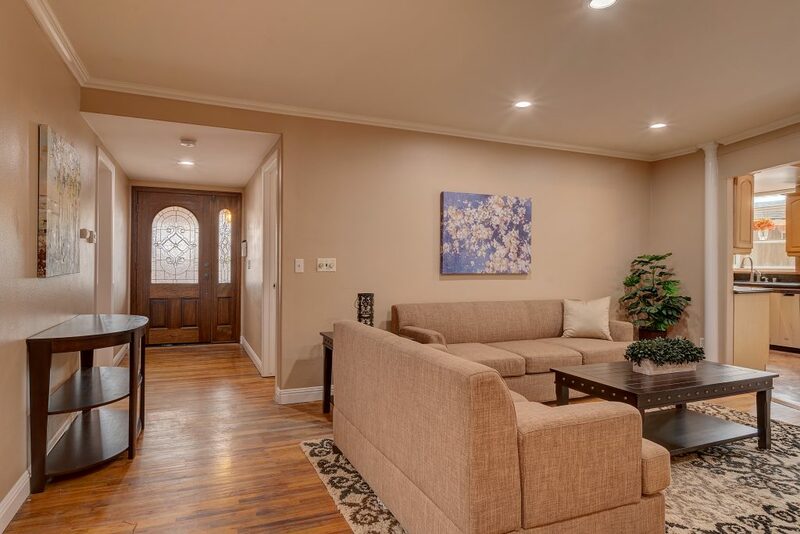 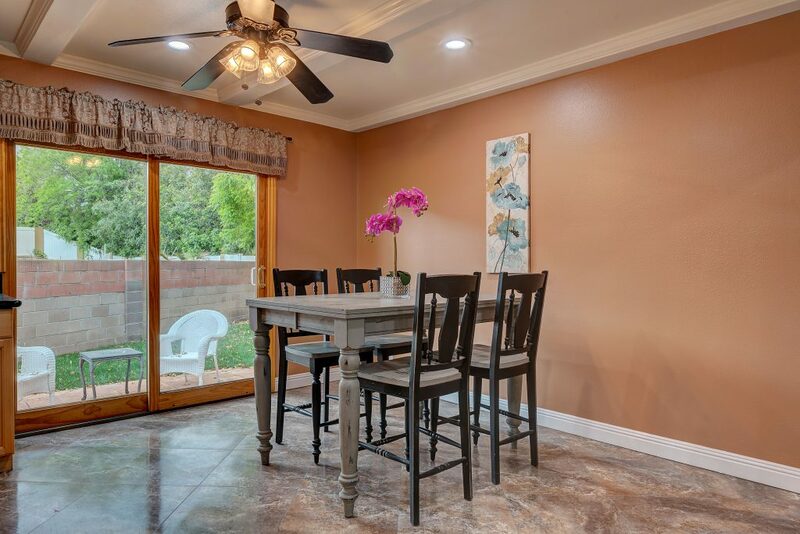 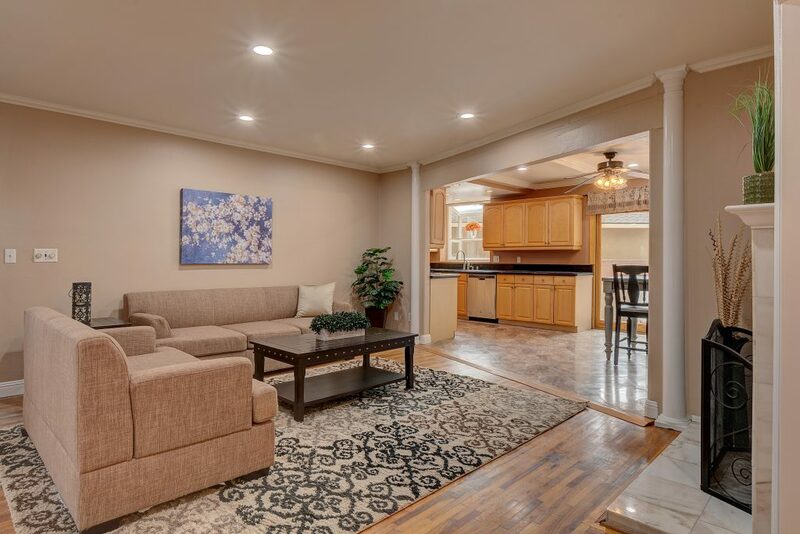 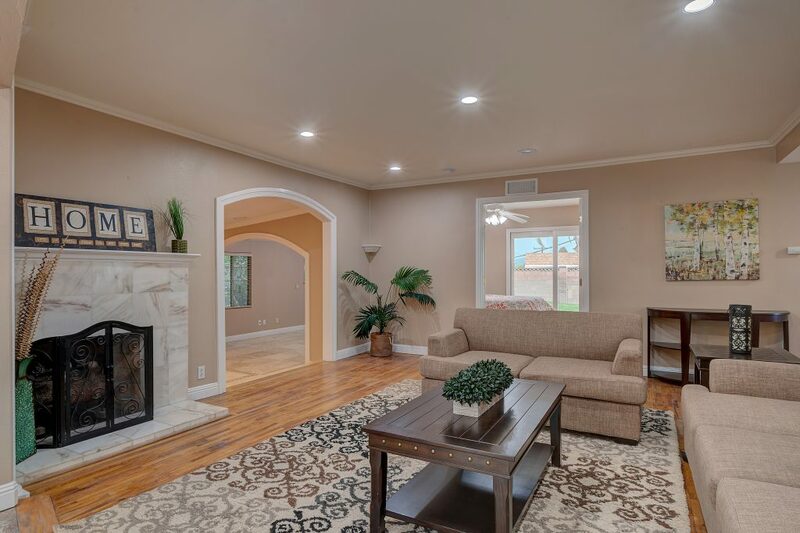 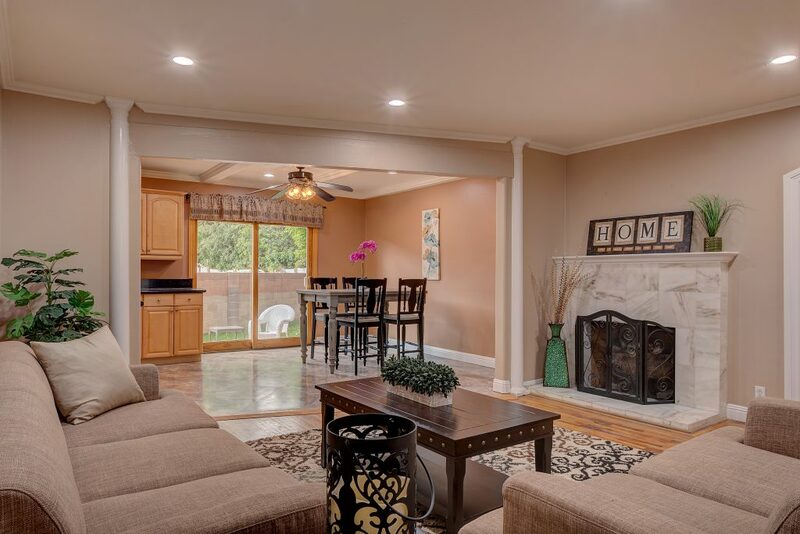 Dining area is open to both the kitchen and living room with a stylish updated fireplace. 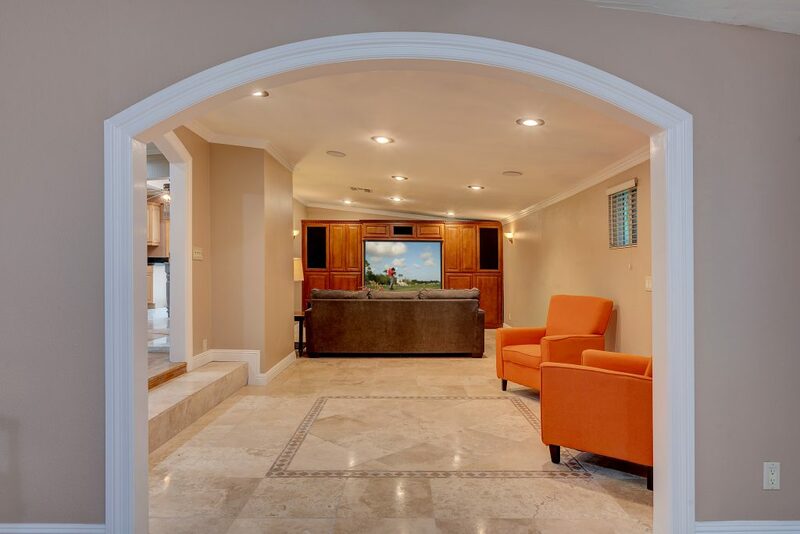 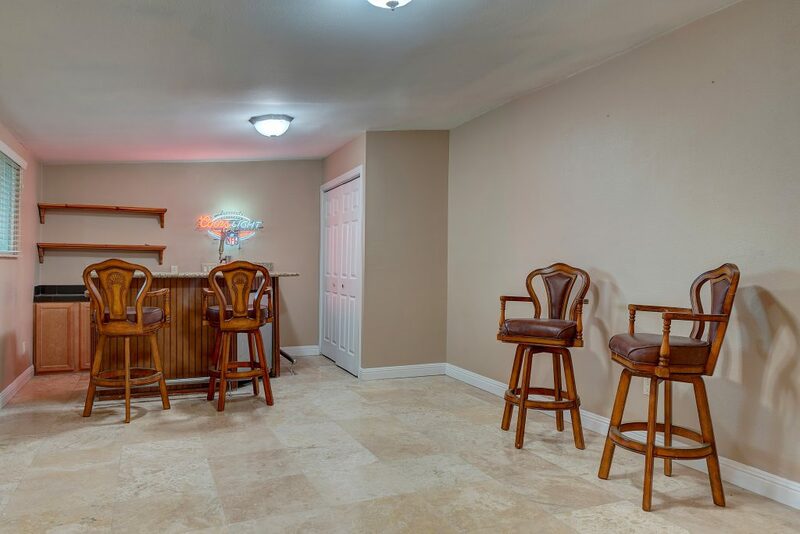 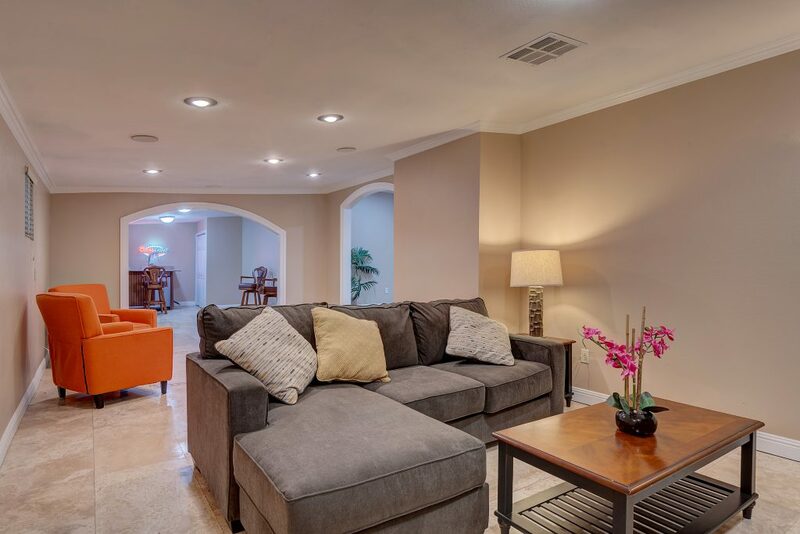 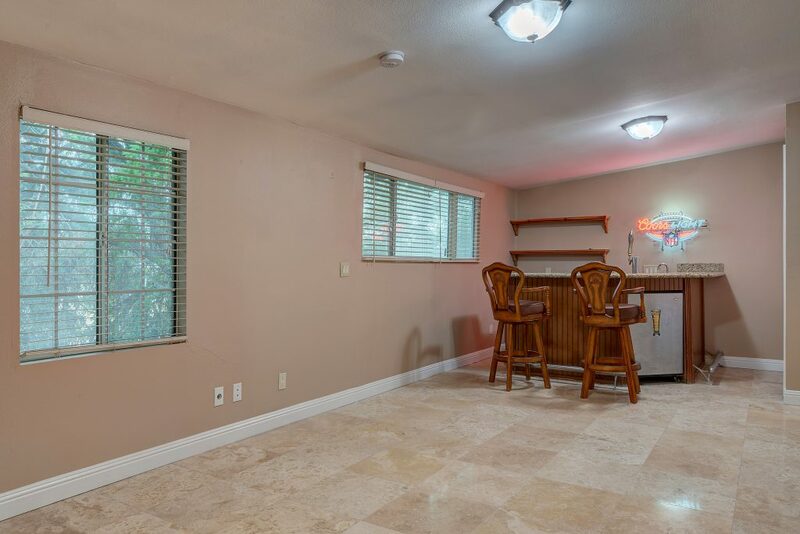 Family room has a custom built wood entertainment center and adjacent is a bonus/game room with a wet bar. 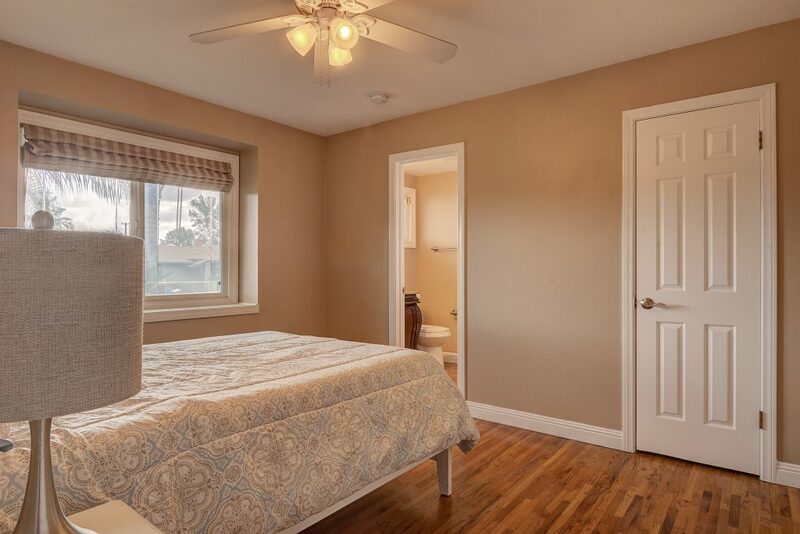 Both rooms have surround sound ceiling speakers and perfect for entertaining family and friends. 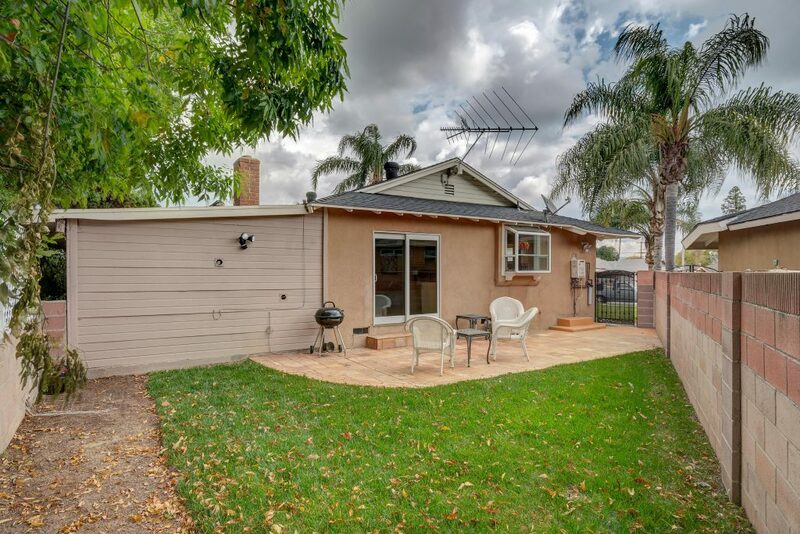 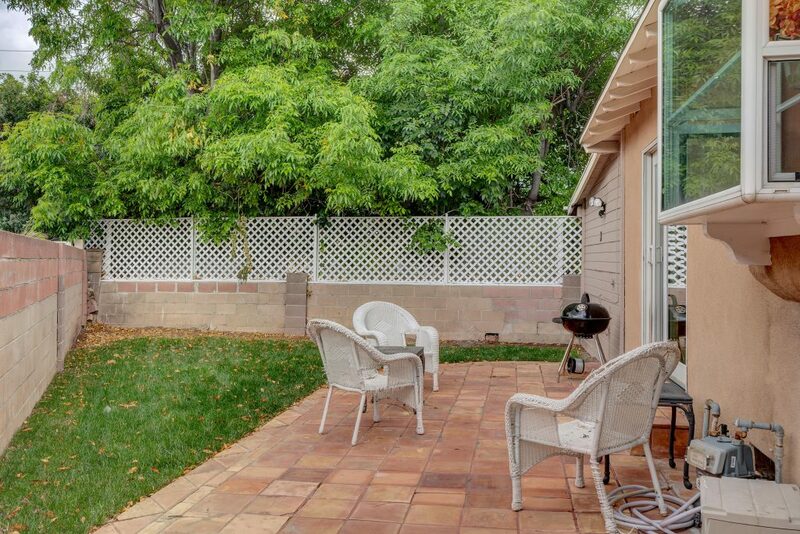 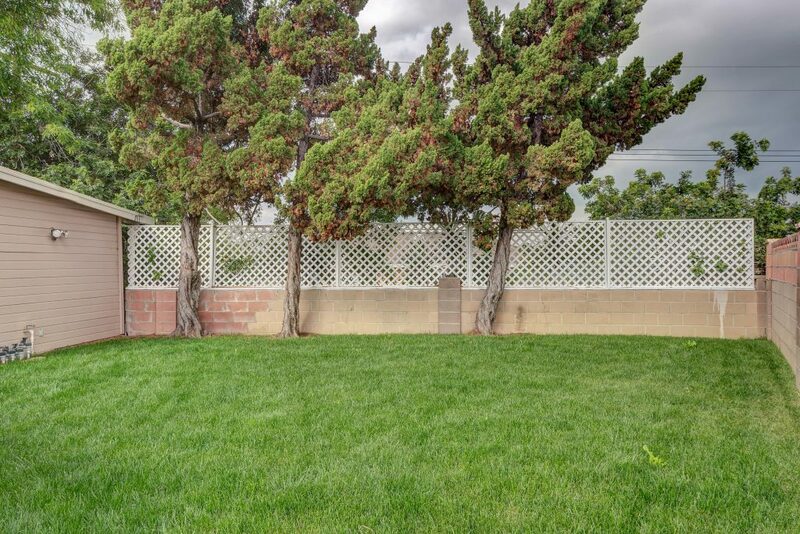 There are two backyards, both spacious with patios and grass. 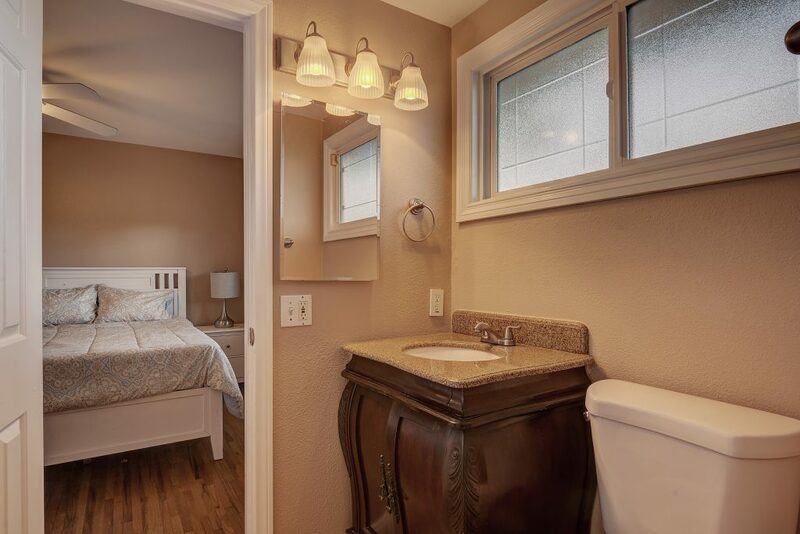 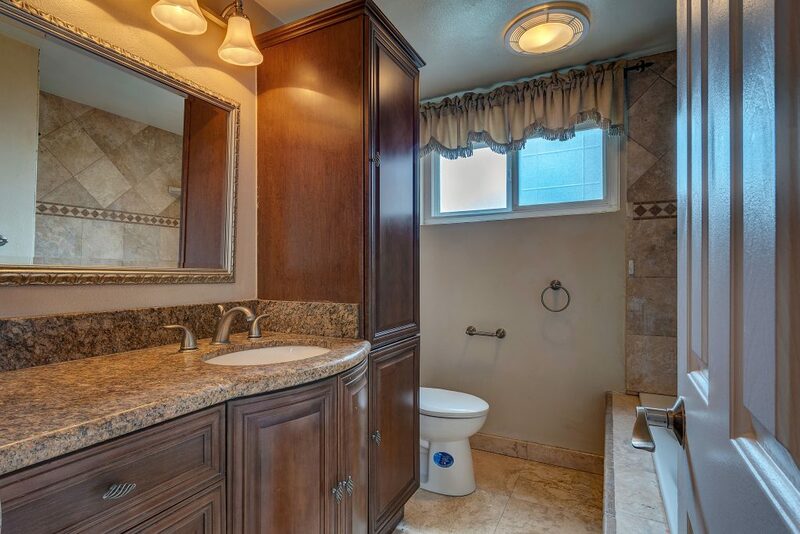 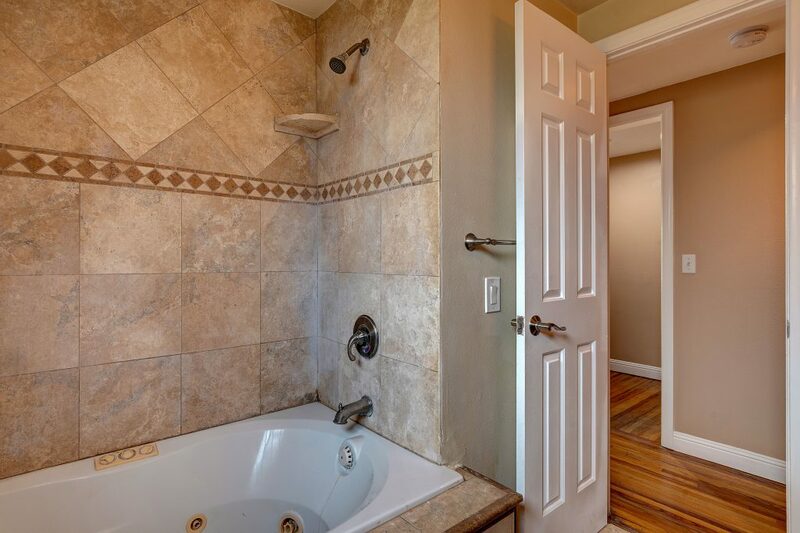 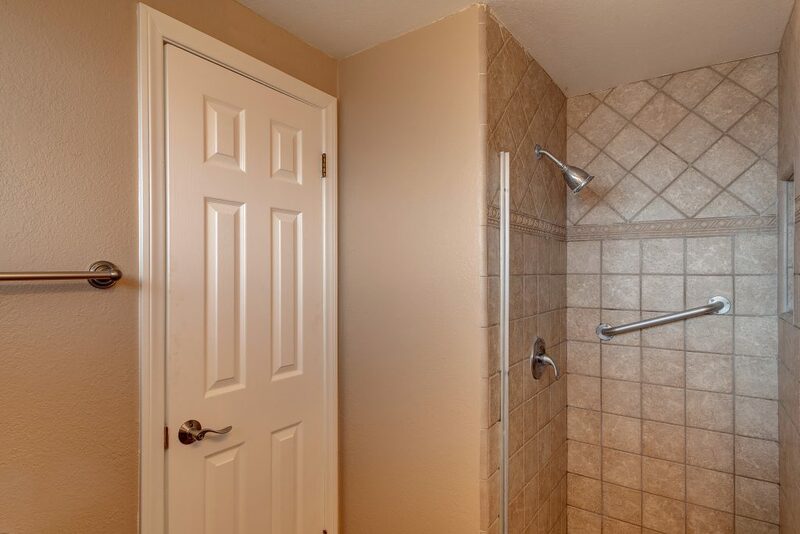 Bathrooms have been remodeled with granite vanities, jacuzzi tub and tile shower. 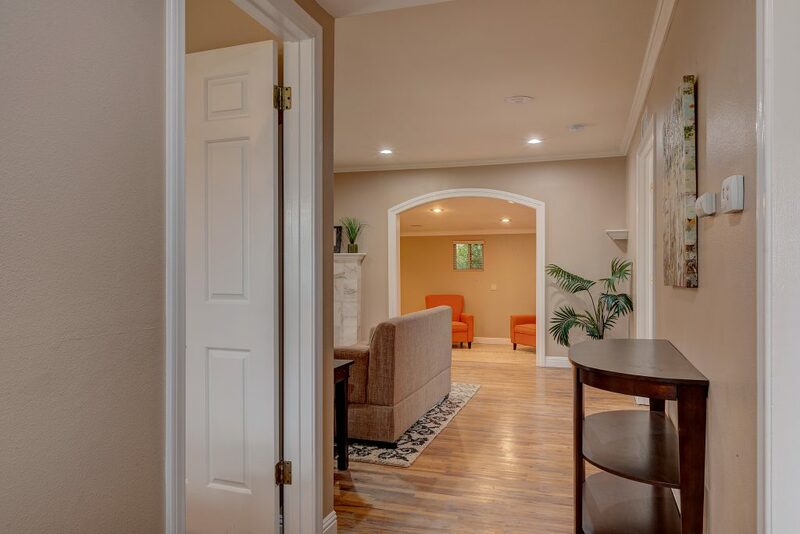 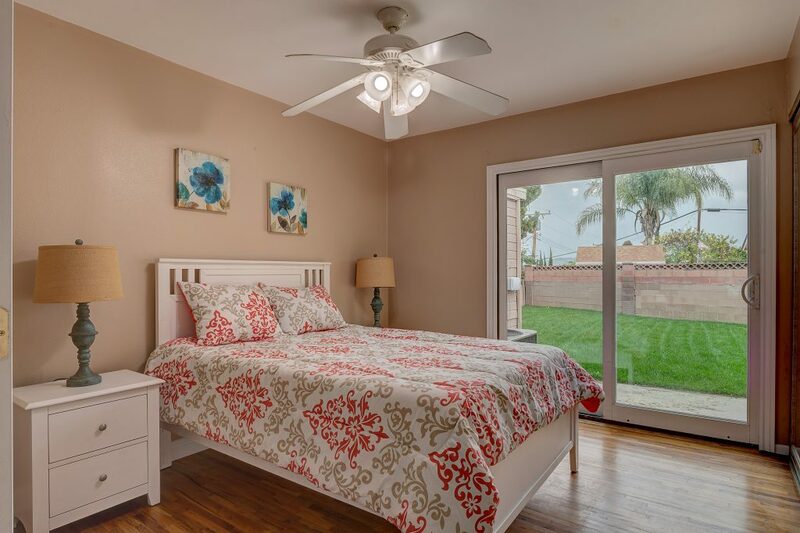 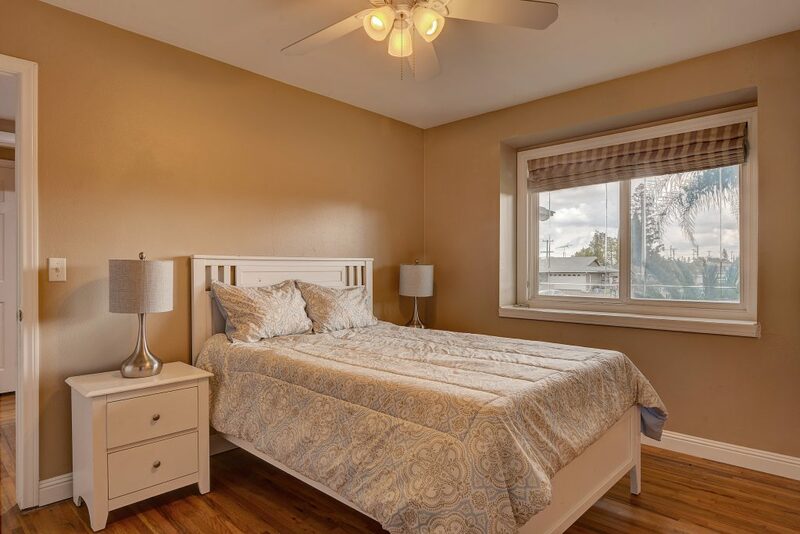 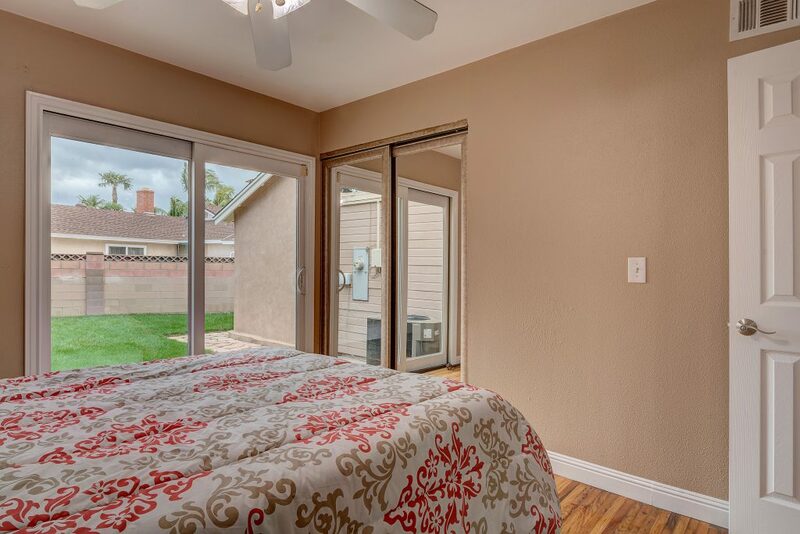 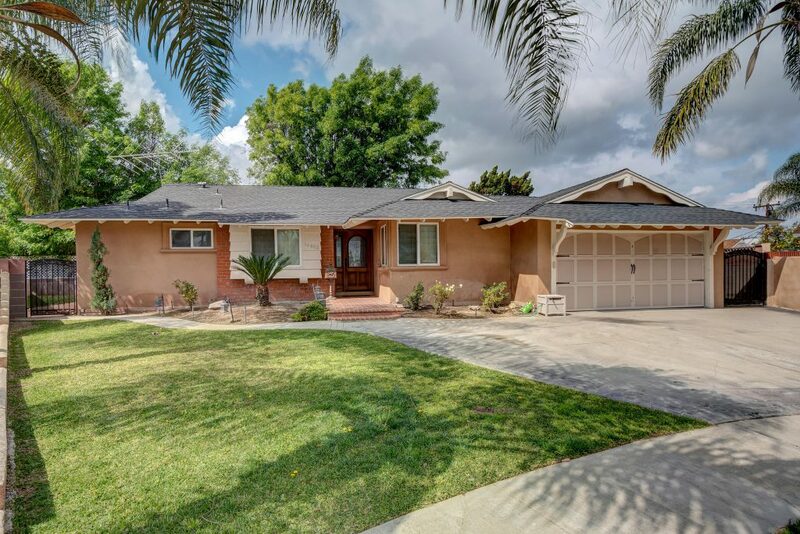 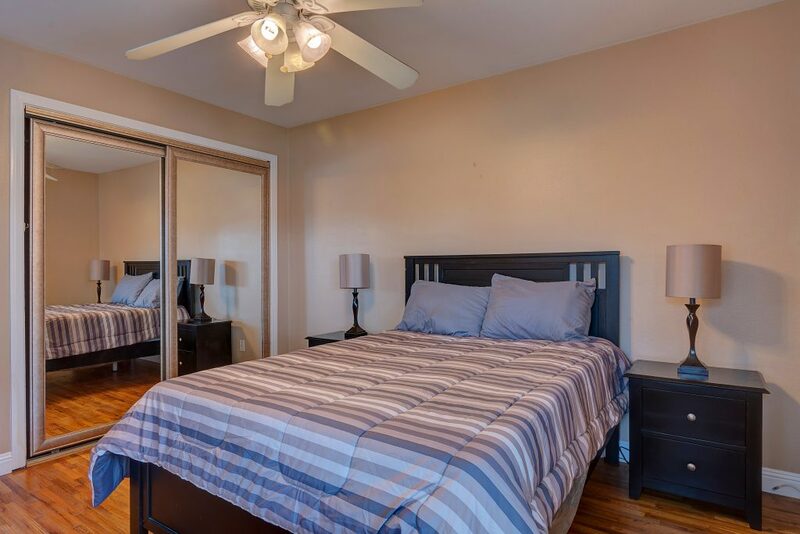 This home offers hardwood floors, recess lighting, dual pane vinyl windows, cooper plumbing, tankless water heater, forced heat and air, freshly painted interior and two car garage with epoxy floor. 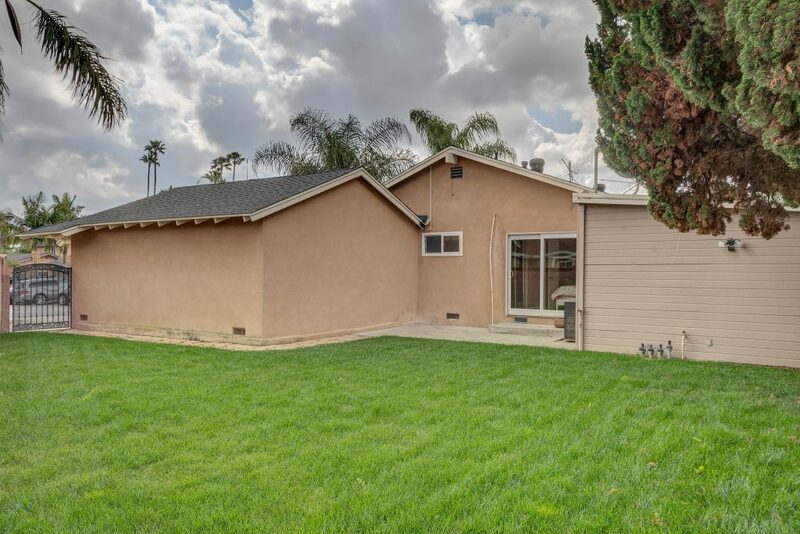 This home won’t last long come check it out!